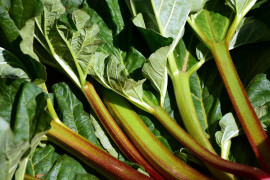 Cawood Delight rhubarb plants have an upright growth habit, thick red stalks, and excel in northern areas. 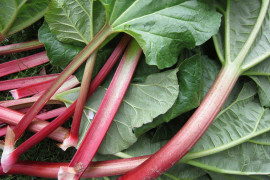 MacDonald rhubarb is a vigourous variety with an upright growth of large tender light red and green stalks. Best planted in groups of 3.